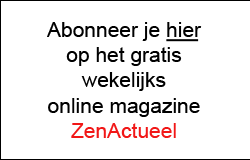 Zen.nl Utrecht provides zen meditation training to everyone interested in an active, energetic and relaxed way of life. Zen.nl's training methods are well-established and have proven to be effective, practical and inspiring. Zen means concentration. Zen meditation is a way to train your awareness and focus and it brings greater quality to everything you do and experience. It enables you to remain balanced, energetic and creative in an active life, and in a culture that may not be your own. Zen meditation is to your mind what sport is to your body. Zen.nl Utrecht offers meditation training and zencoaching in English for individuals and groups. Zen.nl Utrecht, Amsterdamsestraatweg 66 Utrecht. I am interested in a course. I am interested in zencoaching.